Constructed of timber from an old cottage demolished at Currabubula. Calala Cottage was designed and built by Philip Gidley King in 1875. The cottage is furnished with items mainly from the late Victorian period. Displays in the museum range from early aboriginal artefacts through to the establishment of Tamworth as a city. Bequests from notable Tamworth families enhance the exhibits. These include a large teaspoon collection, clothing, portraits, photographs, furnishings, machinery, early survey devices and telephones. The kitchen, fully equipped in the late 1800s style gives an insight into the pre-electric and gas period. The shepherd’s hut, a slab building circa 1840, is Tamworth’s oldest surviving building. It housed the shepherd who was required to care for large mobs of sheep in the early days when property’s had no fences. This is the only remaining hut of 32 that dotted the Australian Agricultural Company’s huge holding. This hut and the main cottage are the only original buildings on the site. 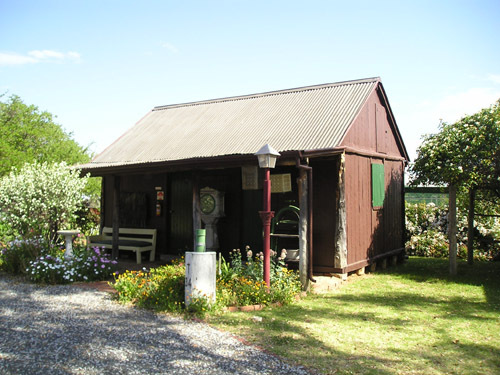 Calala Cottage Museum is maintained by Tamworth Historical Society volunteers. Stocks a wide range of books, CDs, DVDs and souvenirs such as clutch pins, key rings, teaspoons, magnets and postcards.